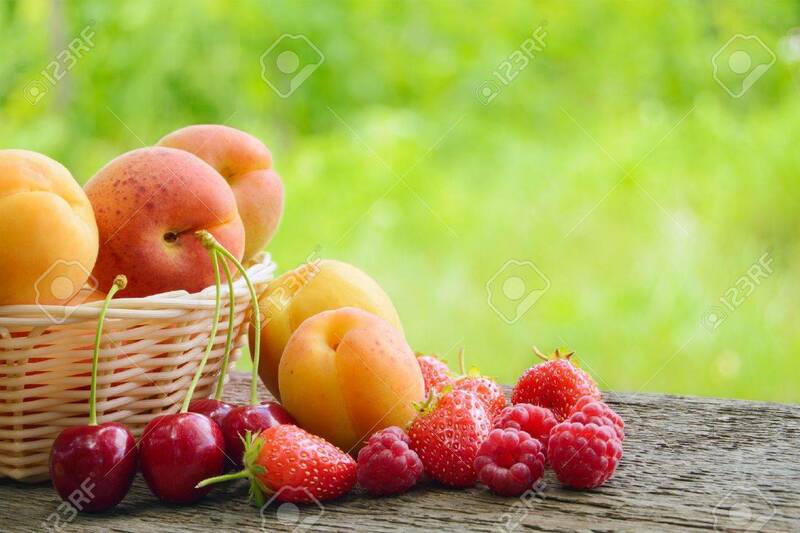 Fresh Ripe Sweet Fruits On The Wooden Table In The Garden. Fresh Organic Food Banco De Imagens Royalty Free, Ilustrações, Imagens E Banco De Imagens.. Image 21219676.